11. Get to know yourself and what you really want. 32. Identify any energetic blockages you may have. 43. Adopt an attitude of gratitude. 54. Replace any negative thoughts with positive ones. 65. Remember that you get what you give. 76. Remove negative people from your life. 87. Clear up your intentions and actually verbally ask the universe. 98. Believe in yourself and the universe. 119. Do not be impatient. The universe is a very powerful force. It holds the keys to everything in this life. Manifestation is something a lot of people want to get on board with but most are not quite able to truly comprehend. If you are not in the right mindset and correct place on your spiritual journey manifestation will not be possible for you. While that can be discouraging to many it is something we have to be aware of so that we can work towards growing our abilities to actually manifest. Below I am going to go over some of the best tips for helping work through this kind of thing. 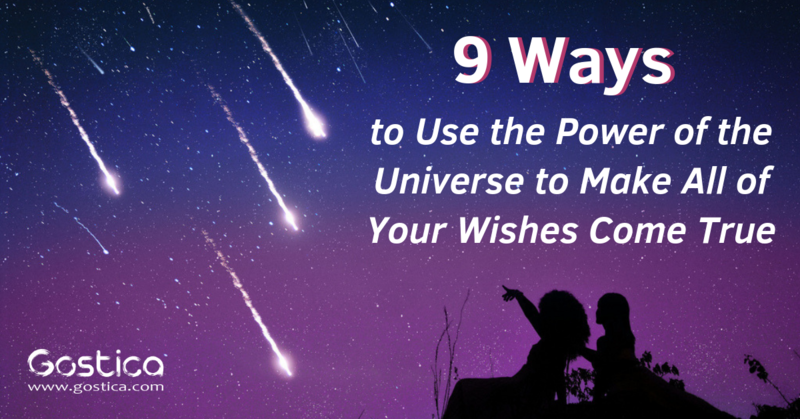 These tips will give you a better idea of how to get yourself where you need to be so that you can manifest all that you’ve ever wanted. While not all of these will be as easy for you to accomplish, they will all make a huge difference in your life. 1. Get to know yourself and what you really want. If you want to be able to manifest things you’re going to need to figure out what you want and if what you think you want matches up. We are human and sometimes we change our minds. Take some time to really get to know yourself. 2. Identify any energetic blockages you may have. If you want to be able to manifest things you need to make sure you aren’t facing any kinds of blockages. In order to do this, you need to spend some time meditating. If you’re feeling down in the dumps or struggling with this kind of thing blockages might be holding you back. 3. Adopt an attitude of gratitude. If you want to be able to manifest things you will need to be much more grateful. The universe might not yet be giving you what you want but you still have all you need. Don’t forget where and who you are. 4. Replace any negative thoughts with positive ones. If you want to be able to manifest things you will need to remove any negative thoughts in your mind. The more positive you are the better. If something is weighing heavy on you sort it out and clear it so that you can make room for something positive. 5. Remember that you get what you give. If you want to be able to manifest things you will need to remember this always. You only get what you give. If you refuse to bring anything to the table the universe will not offer you anything. You have to do your best to bring forth your best efforts. 6. Remove negative people from your life. If you want to be able to manifest things you will need to cut ties with anyone who brings you down in general. If someone is overly negative and constantly talks down to you they do not need to be around you. We should not give power to people who do not deserve it. 7. Clear up your intentions and actually verbally ask the universe. If you want to be able to manifest things you will need to clear your intentions. Once you have done this you need to verbally ask the universe to manifest it for you. Speaking it with your own voice will really bring more power to it. 8. Believe in yourself and the universe. If you want to be able to manifest things you will need to believe in yourself no matter what and trust the universe. If you go into this skeptically or not thinking it will work then it won’t work. You have to be ready. 9. Do not be impatient. If you want to be able to manifest things you need to remember that it takes time. Sometimes things won’t happen as quickly as you want them to. You have to be patient. While things like this are a bit peculiar they are truly amazing. The universe can and will do much more for you than you think.